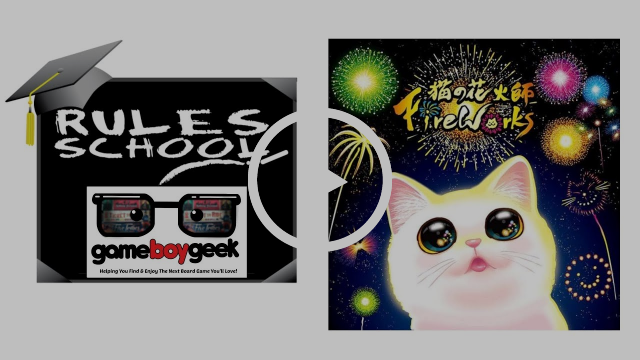 PRESS RELEASE: Renegade Games Introduces Fireworks! 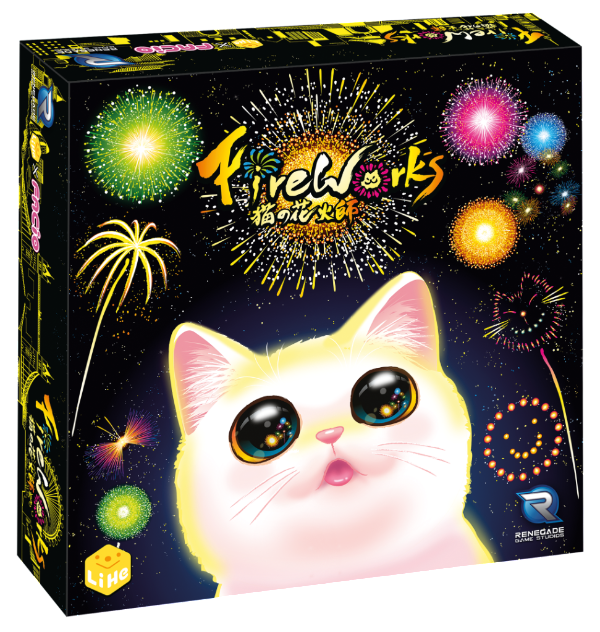 San Diego, CA (June 14th, 2018) — Renegade Game Studios™ is excited to announce the next explosive addition to their catalog — Fireworks! This will be the fifth dexterity game in the Renegade catalog by Aza-Chen, designer of other adorably fun games such as Kitty Paw, Doggy Go!, Shiba Inu House, and Circus Puppy. You can find this title on game shelves in beginning September 2018. Pre-order from the Friendly Local Game Store now or through the Renegade Store for Essen Pick-up! The goal is to collect Fireworks Tiles and arrange them on your City Board to create stunning displays. On your turn, you launch the Fireworks Die out of the barrel and into the box. You then take some face-up Fireworks Tiles from the box and place them on your city board. The game end is triggered when a player fills up their entire City Board. Whoever has the most valuable fireworks display wins!